If you are a person who loves mystery and detective series on the lines of yesteryear superstar Krishna who was popular during his prime time as Andhra James Bond for acting in several thriller movies, go for this new flick. 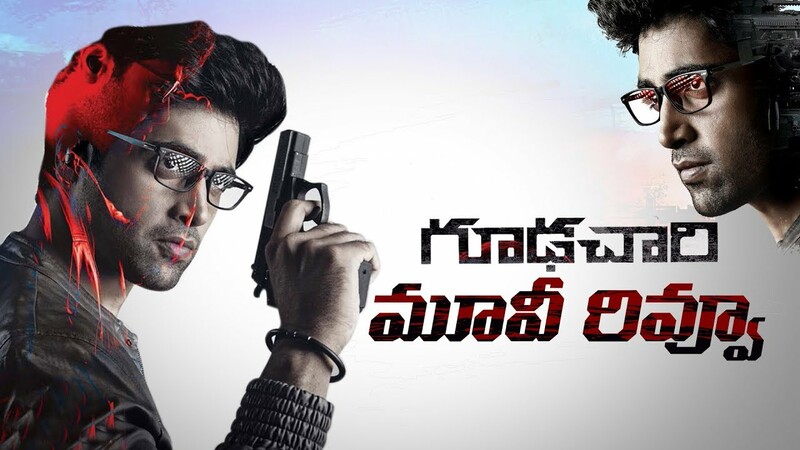 Adivi Sesh has donned the role of a spy in this film Goodachari. Shobita Dhoolipala has debuted in this film as the female lead while Supriya Yarlagadda has made a comeback after two decades. Shashikiran Thikka also made his debut as a director in this film. The story unfolds with Arjun (Adivi Desh) as a young boy. His father, who works for ‘Indian Secret Service’, gets killed by a terrorist organisation. After this, Arjun is groomed by his uncle Satya (Prakash Raj) who also works in the same secret agency. After growing up, Arjun too wishes to join in Indian Secret Service but Satya opposes the idea as he feels it is very dangerous. After several attempts, Arjun gets an interview call. Later, after few physical and mental tests, he gets selected and posted into a secret service called ‘Trinetra’. Arjun later falls in love with a girl Sameera (Shobita Dhulipala) who stays opposite his flat. But, Arjun’s girlfriend and two top directors of the secret service get killed by terrorists. All the evidence, however, point out Arjun as the person behind this attack. So, everyone becomes part of a mission to nab Arjun but he escapes and is on a run. A search for the person behind these attacks and how Arjun proves his innocence form the crux of the story. Spy movies and bond films are not new in Telugu cinema as actor Krishna is popular for this genre of films. There are plenty of films like Goodachari 116, James Bond 777, Agent Gopi, Rahasya Goodachari, etc. Those films were a big success in the 60s and 70s. After many years, Adivi Sesh has tried his hand in this spy thriller ‘Goodchari’. He has not only acted in it, but also provided the story and screenplay. From earlier times till now, Hollywood films have been an inspiration for these spy films. Adivi Sesh, along with director Sashikiran, made a terrific attempt with Goodachari and brings back old memories once again. Not only typical action scenes, but the film has enough emotions with a lot of commercial ingredients. The director narrates everything in a quick and racy manner. The film starts with an agent killed in Kashmir and then the focus shifts to his son and how he wishes to enter into secret service like his father. Then the secret centre, the training and the agents etc. are shown in a natural and interesting way. The film happens in many locations such as Hyderabad, Vizag, Bheemili, Rajahmundry, Kolkata, Bangladesh and many other places. The director has kept the film engaging with many twists and turns. Though the film is inspired from several Hollywood films, full credit goes to director Sashikiran and Adivi Sesh. It never looks like the copy of any particular film. When it comes to performance, Adivi Sesh shines all the way. His body language perfectly fits the role. He had proved his talent already in his earlier films and in this film too, his hard work once again gets shown and it paid off well for him. Once again, he has shown his abilities in all emotions and especially the action scenes are impressive. He has tried a different genre now. Debut actress Shobita delivers good performance and shows matured acting. Prakash Raj has once again delivered a class performance. The surprise of the film is Supriya Yarlagadda who pulled the role of a Deputy Director in Secret Service. She not only fits into the character but the role feels authentic. One wonders why she didn’t do any other film all these years. Madhu Shalini looks beautiful and plays her part very well. Vennela Kishore provides humour and in the end, he also gives a surprise. Jagapathi Babu plays another important and crucial role. There are many other actors who acted naturally and were well supported. For spy thrillers, cinematography is very important and Shaneil Deo did the job very well. The visual impact for this film is high and actually it gives a feel that we are watching a very high standard film. Music by Sricharan Pakal is also one big asset to the film and elevates the mood of the scenes. Finally, ‘Goodchari’ is a well-made spy thriller. In many of his spy films, Krishna played as Agent Gopi with the number 116. Here, we see Adivi Sesh also taking all those names and numbers in this film and it is a good and perfect tribute to him and the old spy films. 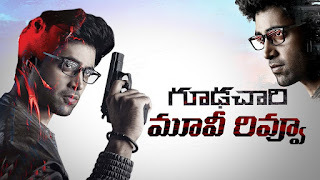 Looking for a different genre, then you must watch ‘Goodachari’!